The internet is full of sites with CV templates, all exactly the same as each other. At PurpleCV, we believe your CV is as individual as you are. That’s why with our professional CV service we tailor your CV to suit you. At PurpleCV we will write your CV from scratch, not using any templates - whether you have an existing CV or no CV at all. Many professional CV services use a CV template and then charge you the earth. We don’t! Our professional CVs are unique and affordable. Your CV writer will tailor your CV to fit your profile exactly, highlighting your key skills and attributes using the latest CV writing trends. What's more, we can design a speculative or tailored Cover Letter to complement your CV for just £20.00 - found in our Accessories. 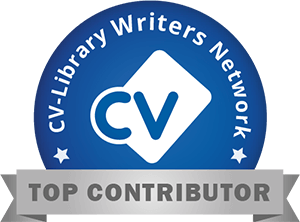 Our CV Writers know exactly what employers are looking for because our CV Writers have extensive experience of writing CVs in the industry that you are applying for. Our CV Writers understand how to pitch your skills and experience, because they are experienced professionals. Your PurpleCV order will stand out from other candidates because no templates will be used and the layout will be indicative of a CV in your industry. Your CV writer will understand how each rung on your career ladder should look and read. Your CV writer will use content that is relevant and objective and in line with your stage of career. When writing a CV our CV Writers know how to pitch every level and it is for this reason we are confident and capable of writing a Graduate CV as we are for a niche industry CV. Our 5 star service is the heart of our professional CV service. Our 24/7 free phone number will link you to your CV Writer who will always be happy to assist. We will work with you to create a CV that you believe in - that’s why we also have a 100% Satisfaction Guarantee. This means that we will work with you until you are completely satisfied with your order, no matter how long it takes and at no extra cost.